This entry was posted on November 15, 2016 by Rachel. Even though you probably love your sister loads, sometimes it can be daunting trying to buy a great gift, plus girls can be difficult. But ultimately, all they want is to be treated like princesses, so when I saw these shoes, I immediately thought that this could be a perfect gift. We all agree here that these unicorn-shaped slippers are adorable. With these bright eyes... the perfect gift! Lots of women have the same problem. They cannot find a gift for a man, whether their brother, father or friend. If they want something, they always have to buy it themselves. So, we chose something original. Men often suffer from Peter Pan syndrome, they want to continue playing the same video games, even if they're 40. 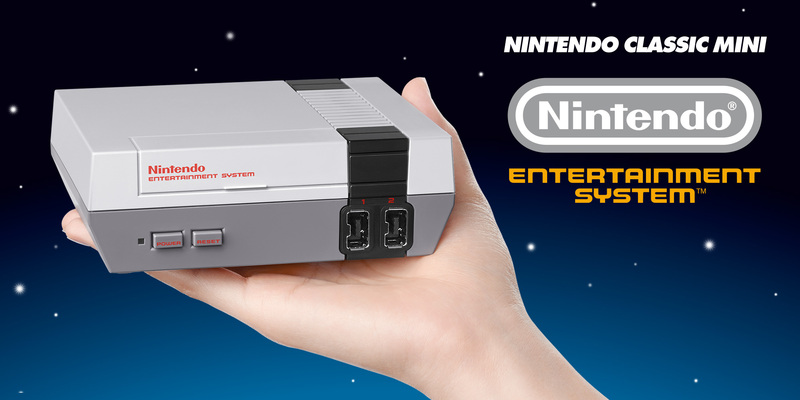 The new Nintendo NES which we have already talked about would be a great gift! Maybe you think it is too expensive, but not it's really not! It will cost you only about £50! There are days when all you want to do is to spend the afternoon with your mum, with a cup of tea and biscuits. There are several places in England, and probably in your town where you can eat biscuits and drink hot tea with your mum. Fathers can be a pain when it comes to buying presents. Fortunately, we found the gift that any man would want, since they generally have trouble folding their clothes. This will definitely make their lives easier! This will make your dad the happiest man in the world. Whether it's for a birthday or a Christmas gift, a personalised phone case for a smartphone is the perfect gift. With GoCustomized, you can design a custom case your photo or favorite design. Believe me, this is a very personal and unique gift that will please everyone. This entry was posted in Gift ideas on November 15, 2016 by Rachel.